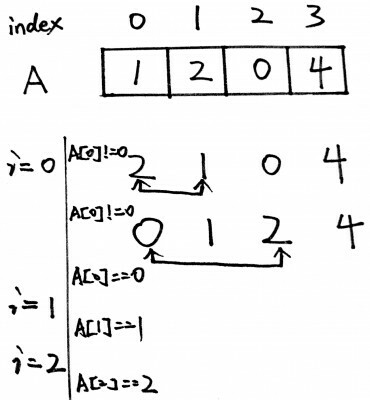 Given an unsorted integer array, find the first missing positive integer. For example, given [1,2,0] return 3 and [3,4,-1,1] return 2. This problem only considers positive numbers, so we need to shift 1 offset. The ith element is i+1. What about the XOR method from http://www.geeksforgeeks.org/find-the-missing-number/?